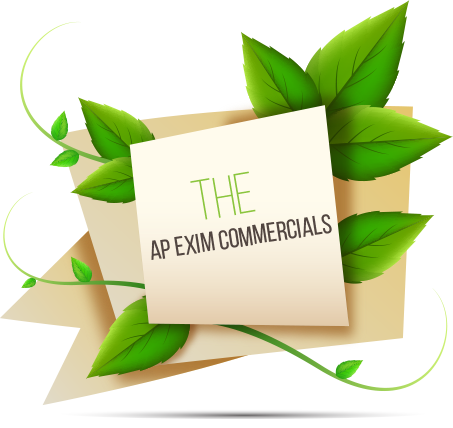 Based in Kolkata (West Bengal, India), The A. P. Exim Commercials has been a major manufacturer and exporter of all kinds of Eco Friendly fabric bags namely JUTE , COTTON , JUCO , PAPER In recent years, the company restructured its business portfolios to focus on a wide range of eco friendly branding products and Packaging solutions . To cater to this need ,we have developed a well integrated production facility, Our Company has stitching, printing and embroidery capabilities under one roof. Our production facilities are located in New Barack pore with easy access to ports and airports. We are located in the hub of fabric producing region with ample supply of traditional craftsmen. While the company lays uniform stress on all fundamental aspects such as quality, designs and cost-effectiveness for its products, we are undoubtedly a premium product maker. . Our products have made their presence felt in high profile events and are also used by leading retail stores. We have gained our reputation for our quality and finish of the product . The company manufactures diverse range of shopping bags in jute, juco, cotton, canvas paper and other eco fabrics. Our design mix presents unlimited choices to suit your unique packaging requirements. Under the able monitoring of a production head, well supported by a team of experienced supervisors, our production undergoes stringent quality control tests. This results in our products being world class. To meet the global demand of increasingly high standard, our plant managed by highly skilled staff is both automated and manual, right from cutting to final production. A major proportion of our output is exported to USA, Europe, Australia and Middle East. This bodes well for our future as our preeminent position as one of the widest arrays of fabric bags from India. Jute fibre is 100% bio-degradable and recyclable and thus environmentally friendly. Jute has low pesticide and fertilizer needs. It is a natural fibre with golden and silky shine and hence called The Golden Fibre. It is the cheapest vegetable fibre procured from the bast or skin of the plant's stem. It is the second most important vegetable fibre after cotton, in terms of usage, global consumption, production, and availability. It has high tensile strength, low extensibility, and ensures better breathability of fabrics. The best source of jute in the world is the Bengal Delta Plain. Jute has the ability to be blended with other fibres, both synthetic and natural. It blends with cotton to give Juco.